When you go to the airport terminal to collect your bags then you see a particular mechanical system carrying bags from the luggage depot to the passengers. This is what we call a conveyor system. This is a system designed particularly to move products and items from one place to another. You must remember that this system is not only installed at airports but at many big factories. This system is also well equipped to move bulky products as well making its utility multi dimensional. It is known for its efficiency and quickness in terms of moving items, and hence it is used primarily in the packaging and production industries. If you closely look into the conveyor system market then you will find that there are a lot of industries who choose this mode of transportation for their items. 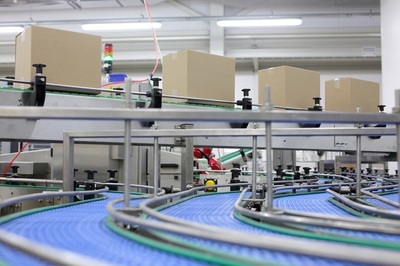 Moreover, there are a number of different types of conveyor systems available in the market that can be used for specific purposes. Chain conveyor systems: This conveyor system is mainly used to move around the unit loads which are generally heavy in nature. In terms of the chain configuration of the product you can find single and double chain strand conveyor systems in the market. They have become more popular in the automotive industry because this is one system which needs minimal maintenance and is extremely easy to install. You will also find options in the chain conveyor systems with difference like the multiplexing chain conveyor which uses plastic chains. Vertical conveyor systems: In this system you will find that the conveyor is engaged in lifting different products from one level to the other. This system is used inside a facility that has different levels for manufacturing or other processes. It is very useful for industrial assembly process. Belt conveyor: Here the medium in which the products are moved is a belt. 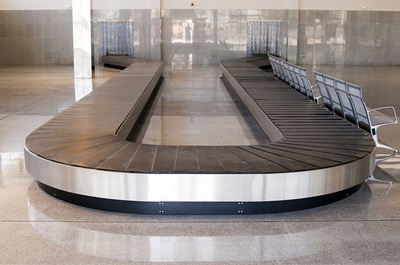 The airport luggage collection area demonstrates the perfect example of belt conveyors. In this system you will find more than one pulley will be engaged in moving the product which is placed on the belt. The belt is designed meticulously and may consist of more than one material for strength. Installation: In terms of installation, they are very easy to install. The advantage that they have is that you can easily install this system almost anywhere. Hence, it is quick and efficient as far as installation is considered. Safety: This is also a safer system of transportation than a forklift which has pointy endings. One of the safest systems in the conveyor fraternity is the belt system which uses belt for carrying the products. Movement options: One thing that makes this system work is the fact that you have multiple options at your disposal to effect the movement. You can use a hydraulic or a mechanical or even a fully automated system for running the entire system. Movement: It is more than capable of moving any load, which means you can move loads of any shape and size without even hesitating, something that is going to make it a favorite among production industries. It is well equipped with features that enable it to take items from one level to the other without any manual effort, hence making sure that no extra labor is needed. Therefore, it plays a pivotal role in reducing cost, time and labor. 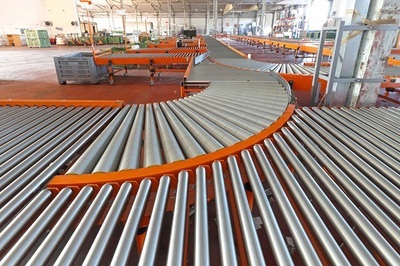 Just go through here and get some more informative info on types of conveyor systems.